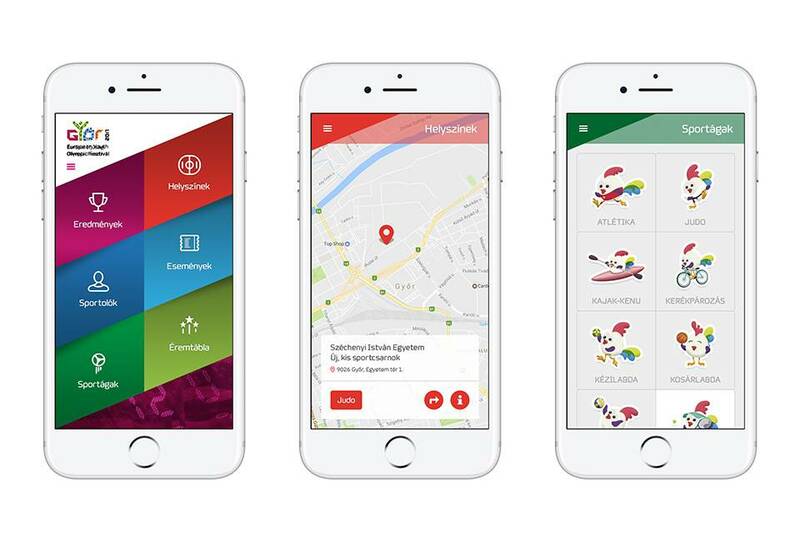 Mobile & tablet app development | Different Fejlesztő Kft. Nowadays, the need for mobile applications is unquestionable. Businesses already recognized the possibilities of the platform, which provides a place where their services and brands are available for future and existing clients, in an immediate fashion. We strive for a perfect application, clarity, simplicity an creative solutions are required for seamless user experience. If you wish for a custom built mobile application which is available on both platforms than don’t hesitate to contact us! We want to know your goals and plans when asking for requirements. Our mission is to understand your needs and position, to provide the solution you need. Our developers closely work together, to deliver applications that represent your brand in all platforms. One of 2017’s biggest sport event in hungary, the European Youth Olimpic Festival, was held in our hometown, Győr. We placed importance on developing an application that was worthy for such an event. We wanted an application which provides quality user experience for both national and our international guests and athletes. Today we proudly say that the application was used by thousands, and made their life easier while attending. Our newest application solves the problem of work hour tracking and provides an easy solution for clients. 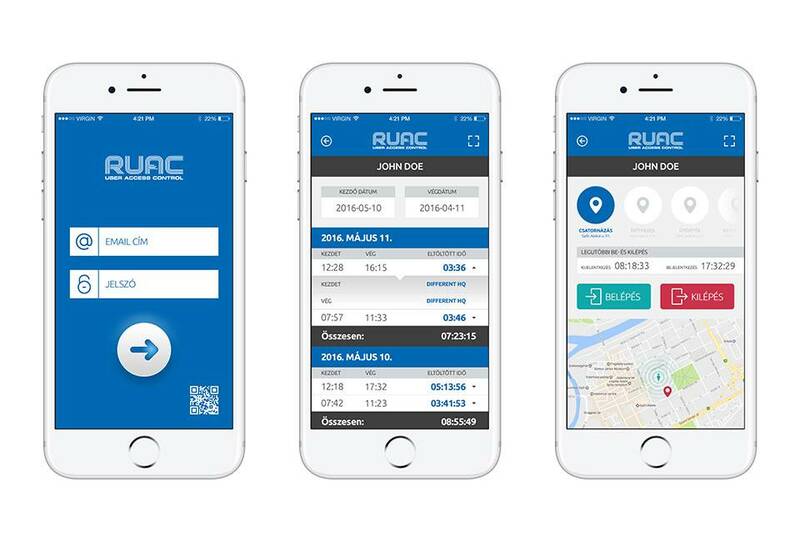 With the RUAC application, tracking employees’ attendance and work sites are easy, everything is stored in the cloud and is quickly accessible. If you are on the road, or opening the web app would be cumbersome, you can check the application for quick info, or quick management of attendance states, locations.